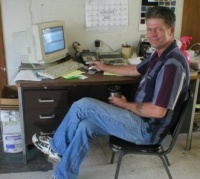 Jack is the owner of Upholstery Workshops, an upholstery shop in Vilonia, AR. Jack has 38 years experience in a number of different aspects of upholstery, home, automotive and marine upholstery. He has run his own business for over 35 years. "Design and Craftsmanship Award 2005" Custom Convertible Top Category.